Learning results of multilayer perceptrons highly depend on the initial weight values. The proper selection of weights may improve network performance and reduce time of the learning process. 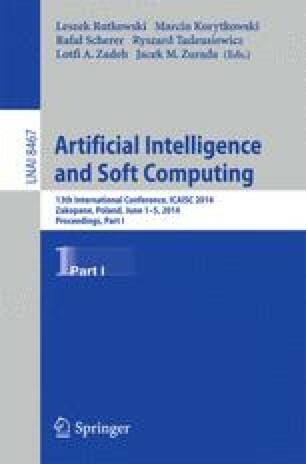 In the paper, a new multilayer perceptron weight selection algorithm based on determination of the variability of the approximated function, within various fragments of its domain, has been proposed. This algorithm has a low computational complexity. Results of numerical experiments have been presented for many learning sets. The comparison of cost function values for neural networks initialized with the applying of the proposed algorithm and for networks initialised by the popular Nguyen-Widrow algorithm has been shown. Independently of the epoch number, the use of the proposed algorithm made it possible to achieve better results for a vast majority of the learning sets.